I want to grow like this. 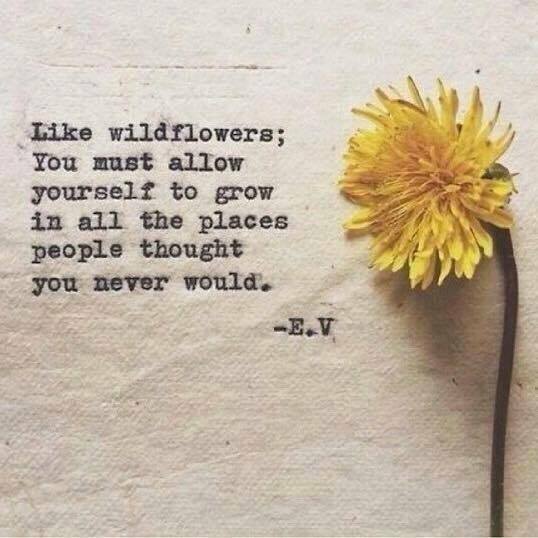 Sometimes we surprise ourselves in our growth, too. Excellent picture and prose Beth and so very true. I would add that we have to allow ourselves to go where we will as well. Sometimes we are our own worst limitation. Beautiful and gritty. Never listen to the doubters. I love your message! Where is the love button to click? I think for a time I was considered a weed, both at school and home. I think I’ve blossomed late, although recently my mum sincerely said she never doubted me. sometimes the people who doubt you are the very ones who help you grow! So beautiful! My heart beats and resonates very strongly with those simple and great poems. thank you so much for your very kind words.